See that price tag? 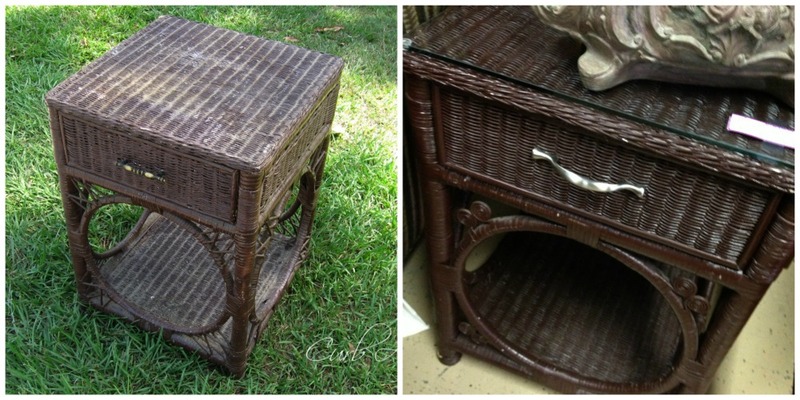 They want $65 for the old brown wicker end table, no thanks. Well it does have glass on it but I think it’s a little much, don’t you agree? Remind you of anything? 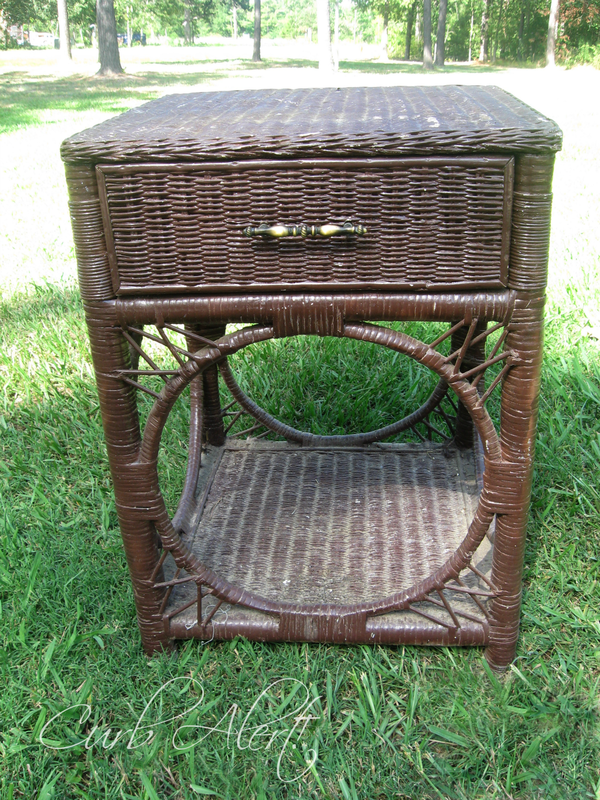 It’s could very well be the sister of the end table I scored a few weeks ago for $12. I was feeling pretty proud of myself with the awesome deal, like my talented blog friend Rita. 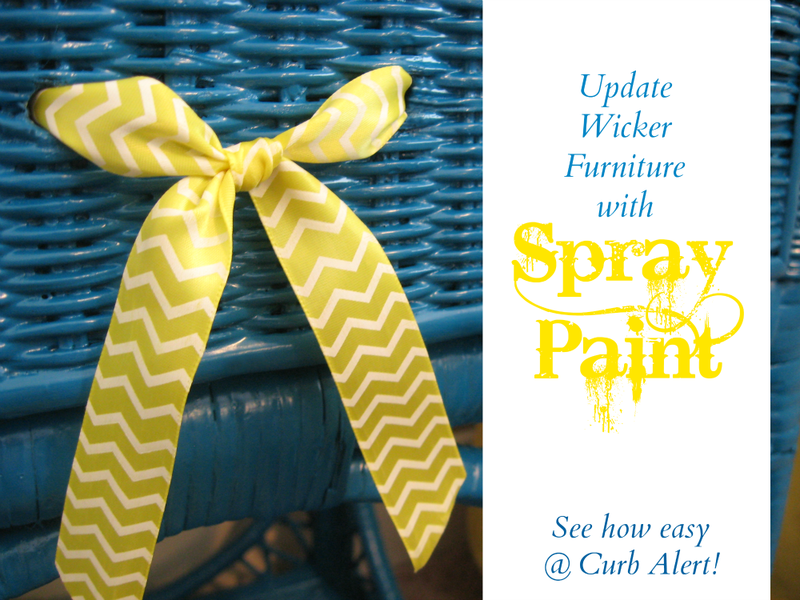 That girl ALWAYS scores big time with the furniture and sure knows how to pretty them up. I am so jealous! Wow! 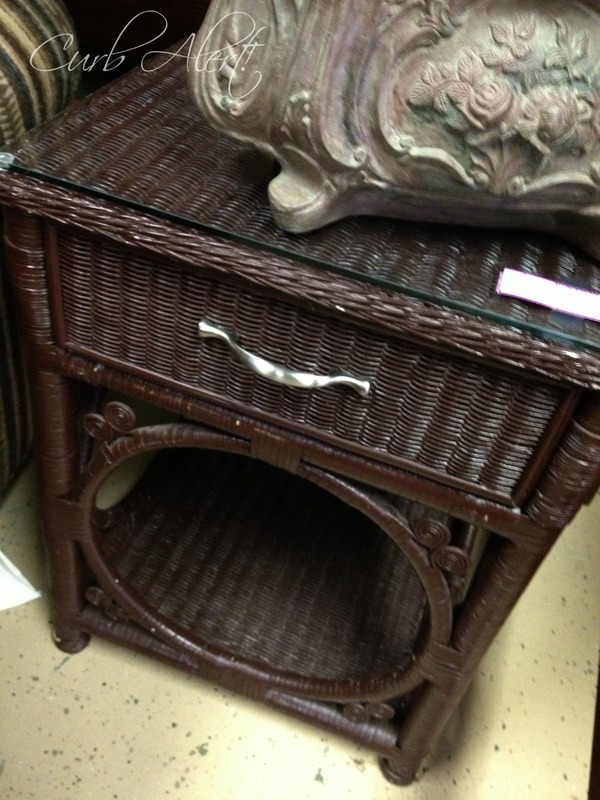 It sure is tempting to grab another table but My Love would have a conniption fit I just cannot justify the $65. Maybe if I check back in a few weeks they will mark it down…WAY down!!! WHAAAAATTTT haha I was read this and was like…does she mean me??? haha so cool!! thanks for the props and I can't even believe that table price. So ridiculous! Anyway thanks for the love!~! Yep I agree. $65 was too much and you scored a deal! I think you made an excellent score on that Curb Alert. Maybe someday that one will be marked down to be affordable and you can have a pair. 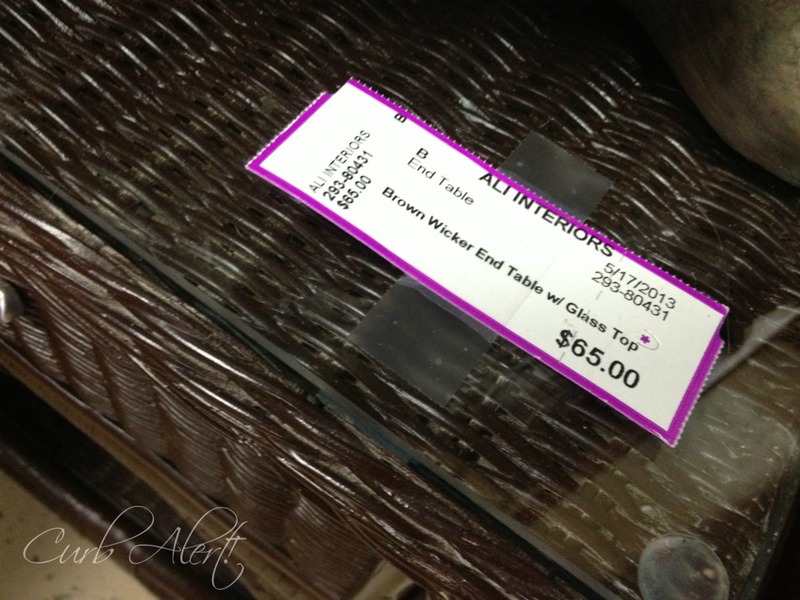 I agree $65.00 is to much, still love your table !!! !